The simplistic beauty of the original Victoria award is magnified in the Double Victoria Jade Award. 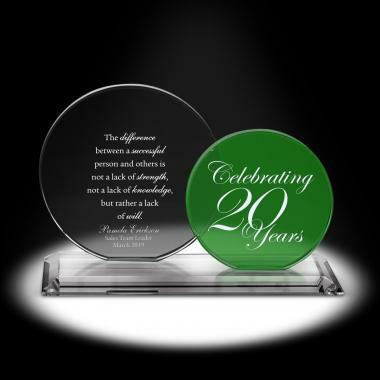 On one circle, your choice of Successories' Exclusive Messages and on the other, personalize the award with the years of service you wish to celebrate. Our glass and crystal awards are crafted with only the finest materials. Each piece is hand-finished and inspected to ensure absolute perfection. 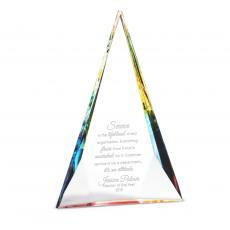 With over 100 stunning crystal and glass awards, you'll be sure to find the perfect one for your custom engraving. 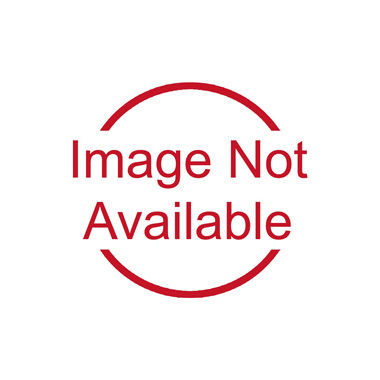 This award is perfect for celebrating milestones and years of service in the workplace. Present to someone who has achieved a great accomplishment and customize with a unique message or logo to make this gift truly special.